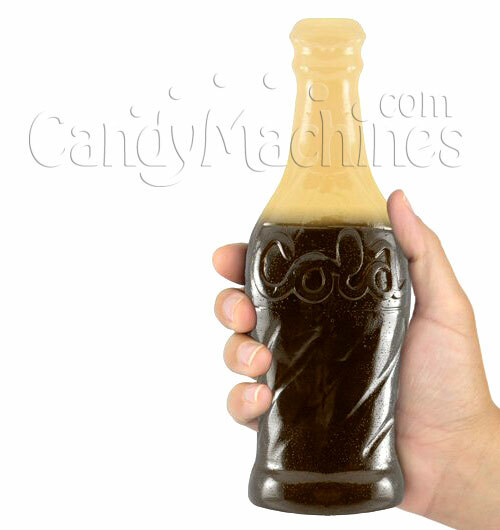 These gummy cola bottles are made right here in the U.S. Each giant cola bottle is approximately 8 inches tall and weighs over 3/4 pound! They come in 5 different great tasting flavors. 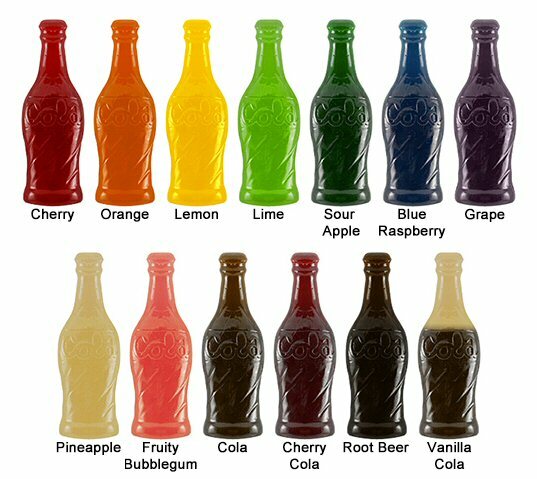 The flavor choices are cherry (red), orange, cherry cola (red/brown), root beer (dark brown), and vanilla cola (brown/cream). These Giant Gummy Cola Bottles are gluten free and have a 1 year shelf life.